RoCo is located in a neighborhood that’s experienced a dramatic transition over the past 100 years. Early 20th-century photos of the East Avenue/Scio Street area show a vastly different landscape, that featured mostly houses – not commercial buildings! Distinguished homes in the latest styles of the day – Italianate, Second Empire, Queen Anne – surrounded the few public buildings located here, such as Christ Church, next door, and the original Genesee Valley Club at the corner of East and Gibbs Street. 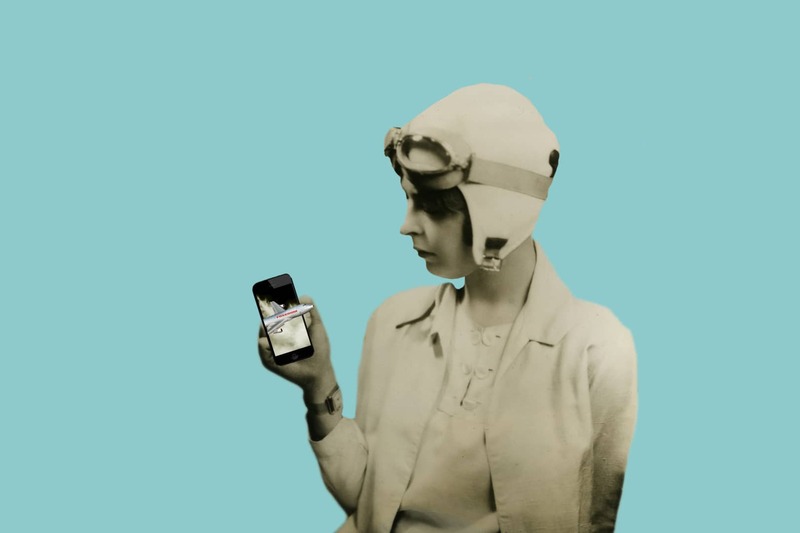 By the 1920s, however, lower East Avenue – from East Main to South Union Street – was quickly transformed into an up-scale shopping district for Rochester’s most prominent families. 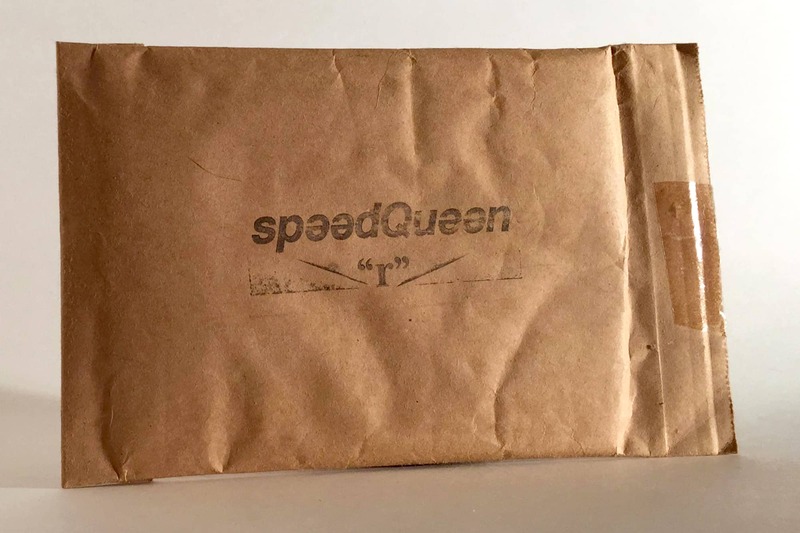 Houses were demolished and modern commercial buildings were constructed for specialty shops whose wares included furs, jewelry, designer clothing, decorative objects, and automobiles. The newly opened Eastman Theatre/School of Music and the city’s grandest hotel, the Sagamore at 111 East Avenue, further enhanced the area as a cultural destination. Here, at 137 East Avenue, the 1880s brick house previously on this site was replaced with the elegant commercial building you see today. Erected in 1924 by developer John J. MacMaster, the two-story building was designed “to be equal in attractiveness to the up-to-date Fifth avenue shops in New York city,” according to a contemporary newspaper story. 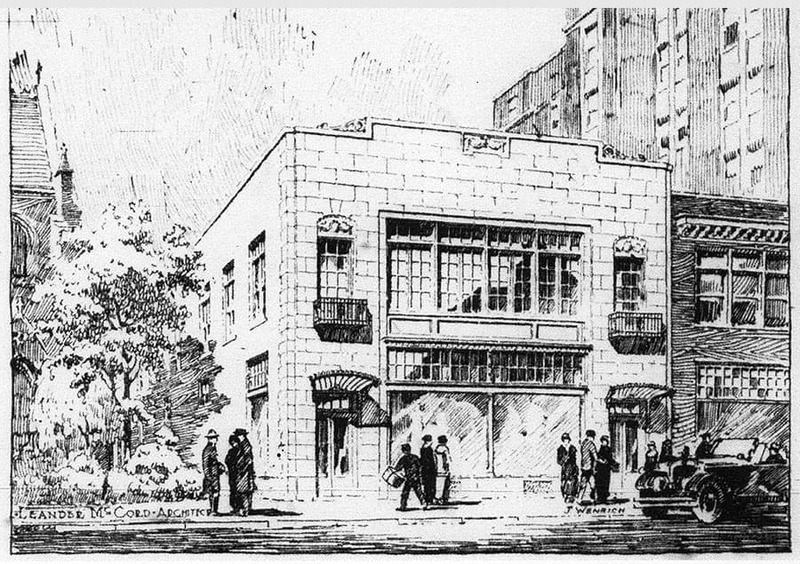 At right, a 1920s rendering by artist John Wenrich shows the original appearance of 137 East Avenue. 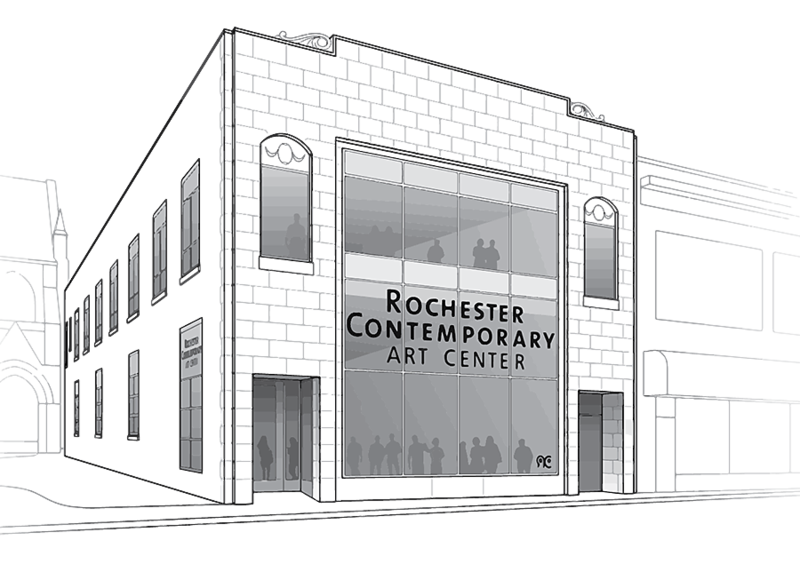 With a façade of Indiana limestone highlighted by graceful iron canopies and decorative railings, this Beaux Arts style building was unique in Rochester. It was designed by noted architect, Leander McCord, whose distinguished homes in the Tudor Revival and French chateau styles are found throughout the community. The first tenants at #137 were the Epstein Dress Shop and the George Miller Company, which featured trunks and luggage. More recently, in the 1960s-‘80s, the building was the home of Moress, a fondly remembered dress shop with designer clothing. 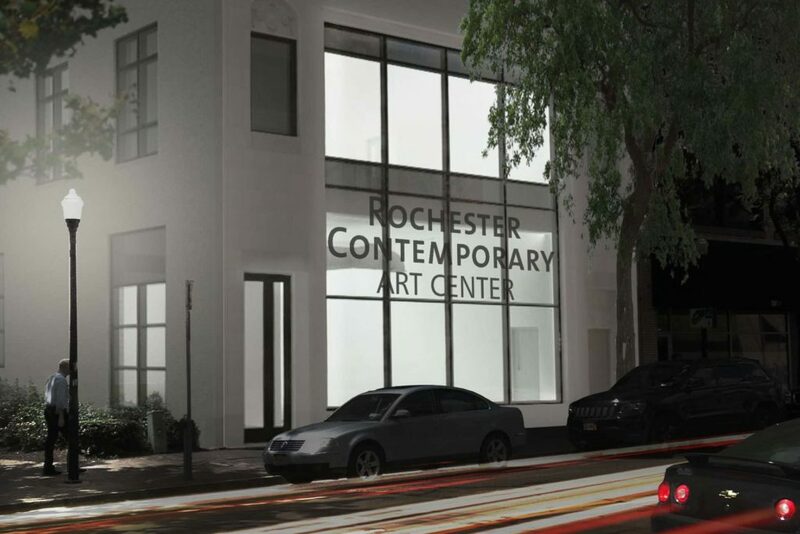 Today, this handsome commercial building is the home of the Rochester Contemporary Art Center.